Belagavi's border dispute is brought up every election in Karnataka, this time being no different. 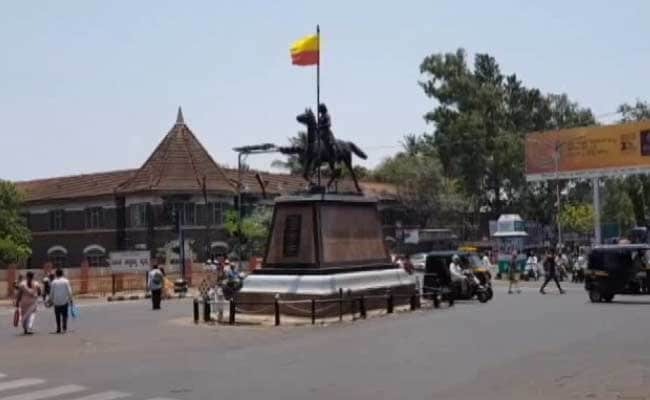 Belagavi: The Belagavi district in Karnataka that borders Maharashtra is home to a large number of Marathis. Several Marathi signs point to their presence in this disputed zone. Maharashtra has staked claims to the area ever since the region, earlier part of Bombay state, was included in Mysore state in 1956. The long-standing issue is brought up every election, this time being no different. In a country where language is an emotive issue, the dispute between Karnataka and Maharashtra, which has gone all the way to the Supreme Court, is again being used as an election ploy. Manohar Kinekar, the Maharashtra Ekikaran Samiti (MES) candidate of Belagavi Rural, tells NDTV that his party's main aim is to see the district merge with Maharashtra. He said, "Maharashtra Ekikaran Samiti has been fighting to settle this border issue since 1956. I am contesting elections keeping in mind the interests of the linguistic minorities over here. Three seats in Belgaum, Kanapur, Belgaum Dakshin and Gramin are being fought as part of central Maharashtra Ekikaran Samiti. And the response of the Marathi populace is positive." "Our promise to the people of Belgaum is that we will fight in the Supreme Court. We will do everything to make it happen," he said. Pro-Kannada activists in the district, however, think otherwise. Ashok Chandargi, President of the Belagavi District Organization's Action Committee, told NDTV, "Since 1957, after the reorganisation of the states, the MES has been feeding its candidates with this border issue. The Kannada and Marathi people are not interested. But the MES has constantly been agitating over the issue." The Mahajan Commission, headed by Chief Justice Meher Chand Mahajan, set up in 1966 to study the border dispute recommended the exchange of several villages in Belgaum district between the two states, but rejected Maharashtra's claim on Belagavi. Karnataka has gone the extra mile to reiterate its claim - even constructing a Vidhana Soudha-like building in Belagavi where sessions are held every year. Mr Chandargi said, "People live and work in harmony here. In 2004, Maharashtra knocked on the doors of the Supreme Court seeking Belgaum and 864 villages. We have been waiting for the verdict for last 14 years. But the MES is trying to capitalise the matter for their political gains." Sagar Patil, whose mother tongue is Marathi, told NDTV, "52% of the population here speaks Marathi. The RTO, Collector and DC office should provide documents in Marathi. At least the voter's list should be issued in Marathi. Nobody listens to us. All the Marathi schools have been closed down. The issue concerning language and border has been going on for the last 62 years. Marathis are fighting for their rights. Every election we think that the government will fulfil our needs and put an end to the language issue. But nothing has happened so far."